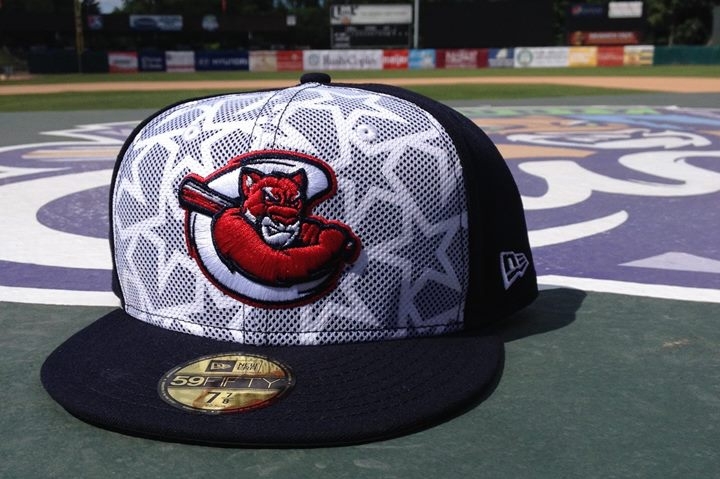 For the seventh consecutive year, most Minor League Baseball teams will wear specially-designed “Stars and Stripes” caps during the Independence Day weekend. The cap design features a white star-patterned background behind the appropriate team’s logo. The caps can be purchased in the ballpark stores of participating teams, and online on some teams’ websites. Minor League Baseball says 100 percent of proceeds from the cap sales will go to Welcome Back Veterans, an organization that helps provide treatment to veterans who suffer from post-traumatic stress disorder and traumatic brain injury. Minor League Baseball has made annual donations to Welcome Back Veterans since 2010.